It's been a busy couple of weeks for the RunDND production team. 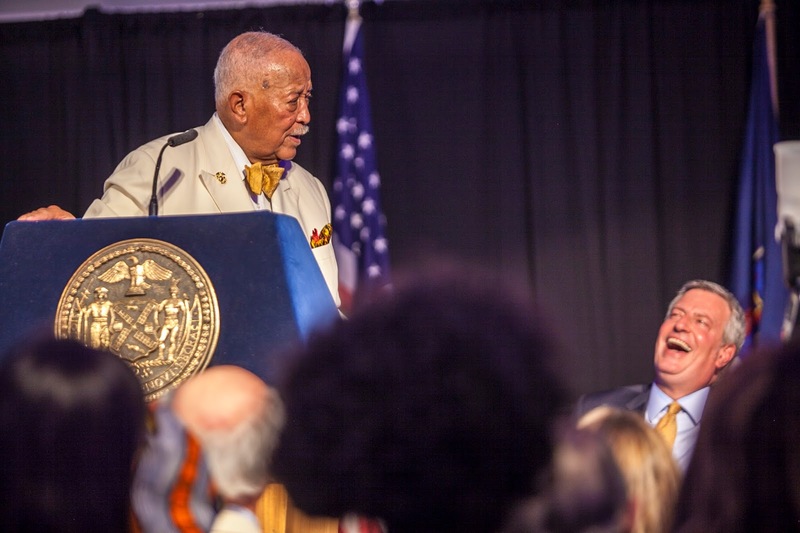 Filmmaker Laura Hart conducted an interview with Mayor Dinkins and Mrs. Dinkins on January 6 at their home. The interview covered many topics with the Mayor relaxed and forthcoming. Laura reviewed the terrific footage taken at the Municipal Building renaming and the pre-Inauguration reception for Mayor Bill de Blasio at Gracie Mansion. She also is working on a new trailer that will cover both accomplishments and controversies associated with David Dinkins' time as the 106th Mayor of New York City. Upcoming this holiday weekend commemorating Dr. Martin Luther King, Jr., Laura will be joining and filming Mayor Dinkins at Convent Avenue Baptist Church services, speaking with staff at Stanley M. Isaacs Community Center's Martin Luther King Day event, and attending the National Action Forum Martin Luther King Jr. Day Public Forum.